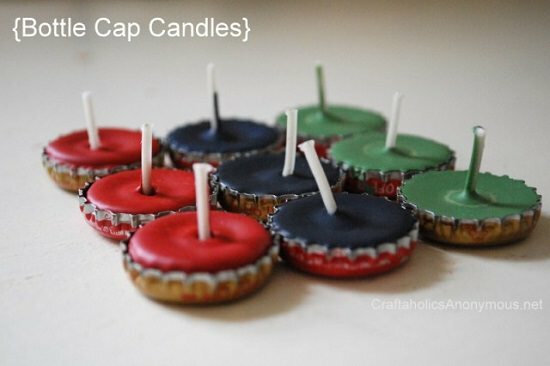 Check out our 26 DIY bottle cap crafts! 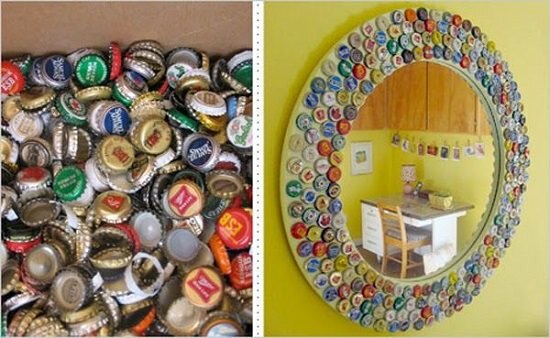 After knowing these Cool Things to Do with Bottle Caps in your home and garden, you’ll start collecting them. 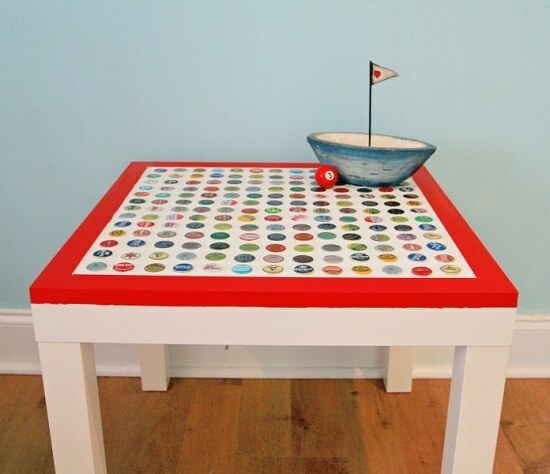 Refurbish an old side table with tons of bottle caps and spark up your living room like never before. Get more details at My So Called Crafty Life. 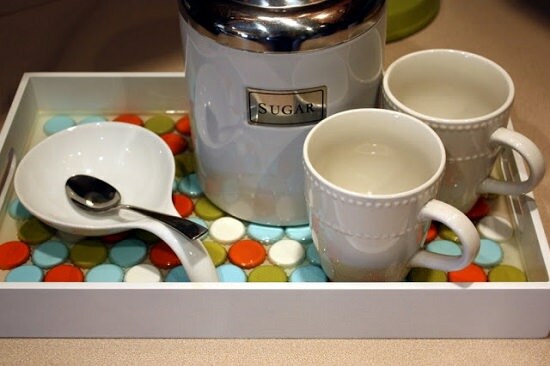 Dotted with arrays of bottle caps, this funky tray can amaze with the thought–How many cool things to do with bottle caps. Click here for the how-to! 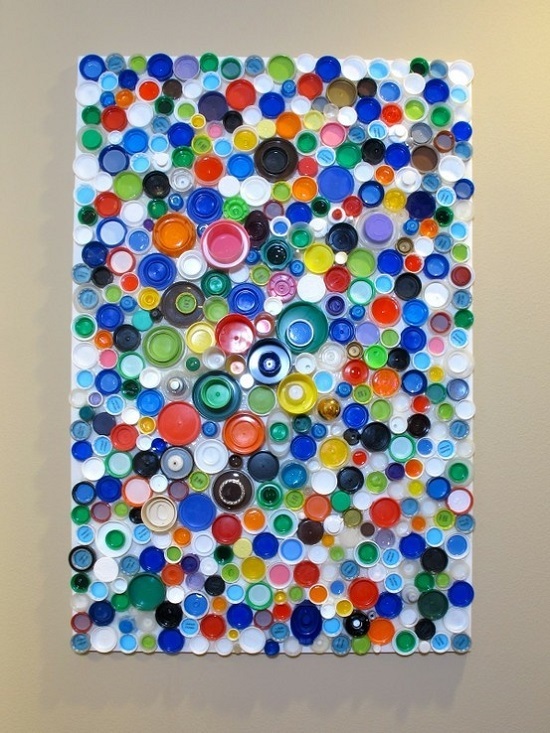 Bottle caps are the only type of embellishment you need to create this fascinating artwork for your empty walls. Visit Favecrafts for more details. 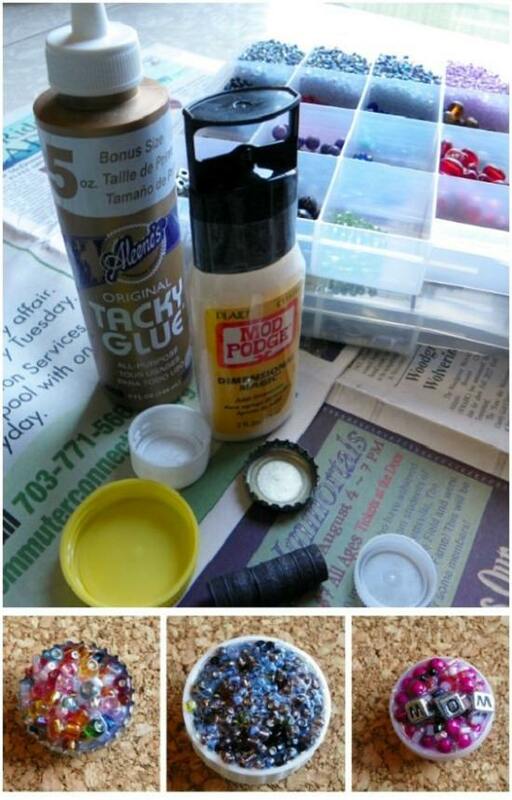 Turn old bottle caps into a contemporary canvas that is super easy for kids to make. The DIY tutorial is here! Mixing a decorative stake with the plants is an excellent way to unify natural and artificial elements together. Check out the tutorial here. 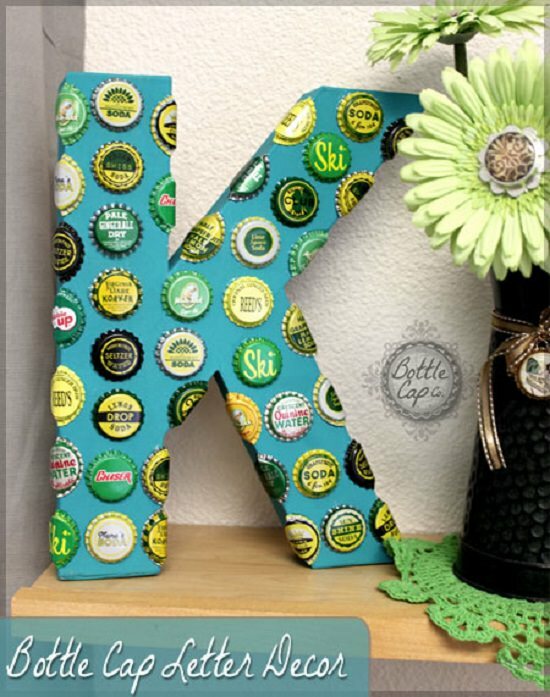 Displaying this giant bottle cap monogram will set apart your home from the rest in the neighborhood. We found the idea at Bottlecapco. 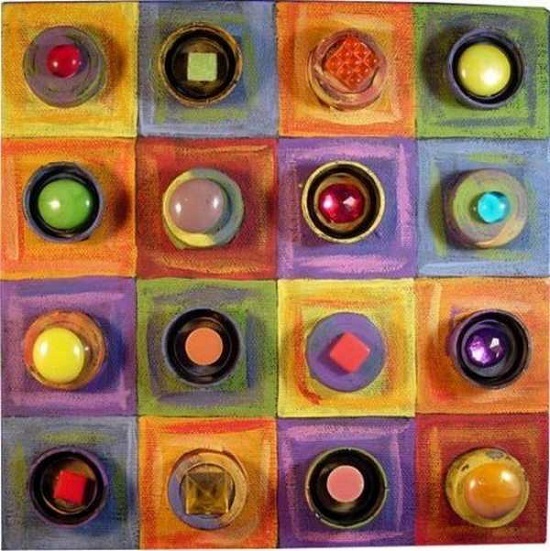 If school projects bore your child, this bottle cap state art is a great way to get those tiny hands involved. Beneath my heart came up with this idea! Rows and rows of bottle caps make an ordinary mirror look like something. Follow the post at We Heart This for steps. Whether you’re looking to add subtle bling to your outfit or wear something patriotic, these bottle cap pendants have you covered. Consumer Crafts has this project! 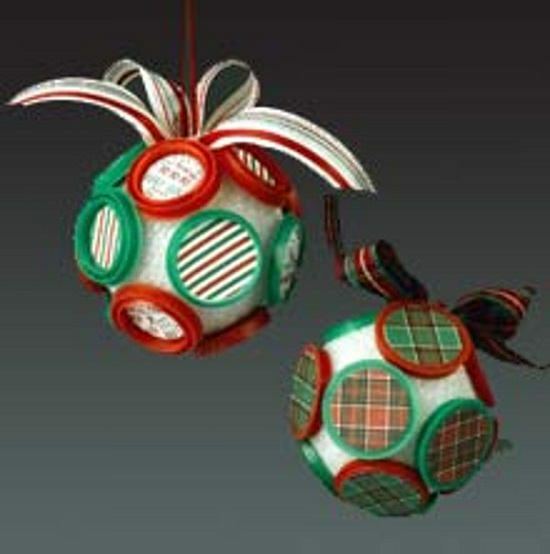 Make a bunch of these bottle cap ornaments to add some eco-charm to your Christmas tree. The DIY project is here. 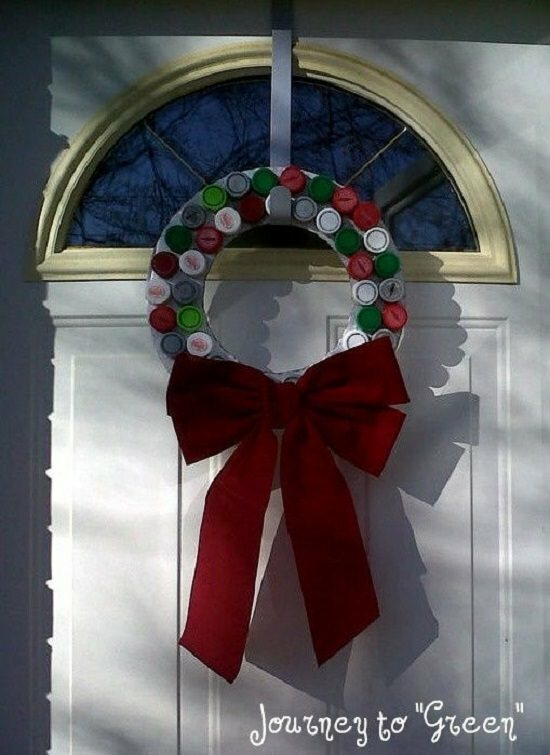 Upcycle bottle caps into a neat little wreath for this holiday season. The step by step project is here! 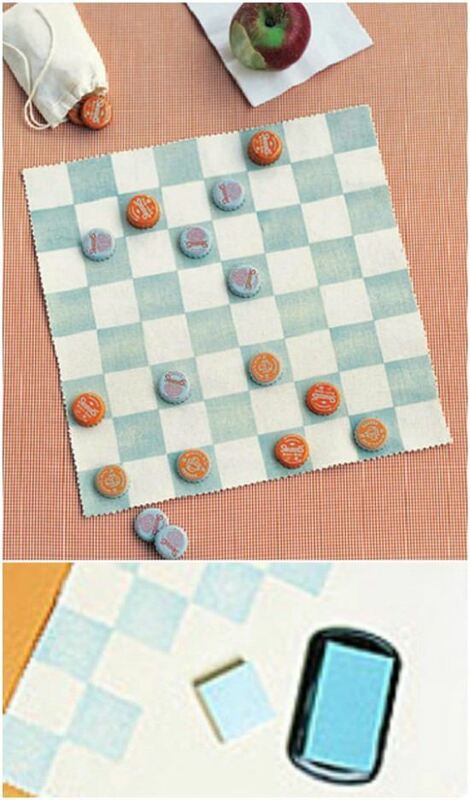 This portable checkboard will make sure your kids have something to do really cool. Visit Martha Stewart for the DIY. 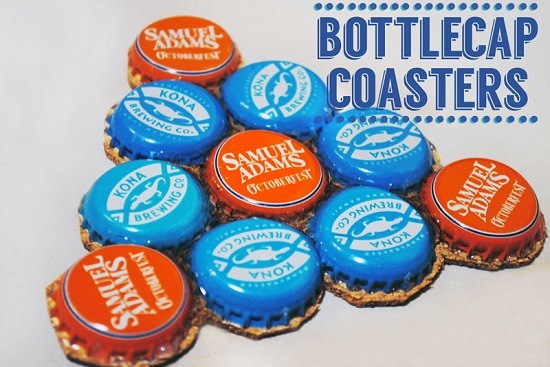 If you’re tired of flimsy coasters that eventually surrender, these bottle cap coaster is your answer. 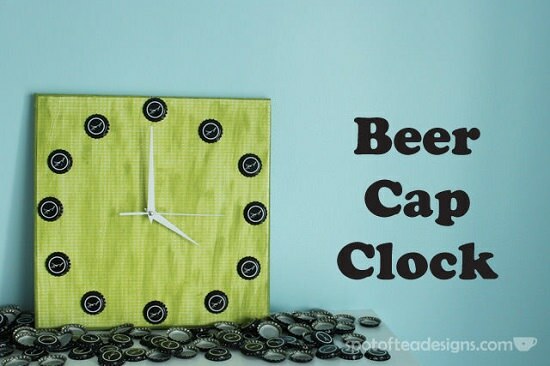 If your dad likes to drink like a whale, then this cap clock gift might just resonate with him. The tutorial is here. Nail the punk look with bottle cap chains, bracelets, and locket. Get the details here at Diy Network. 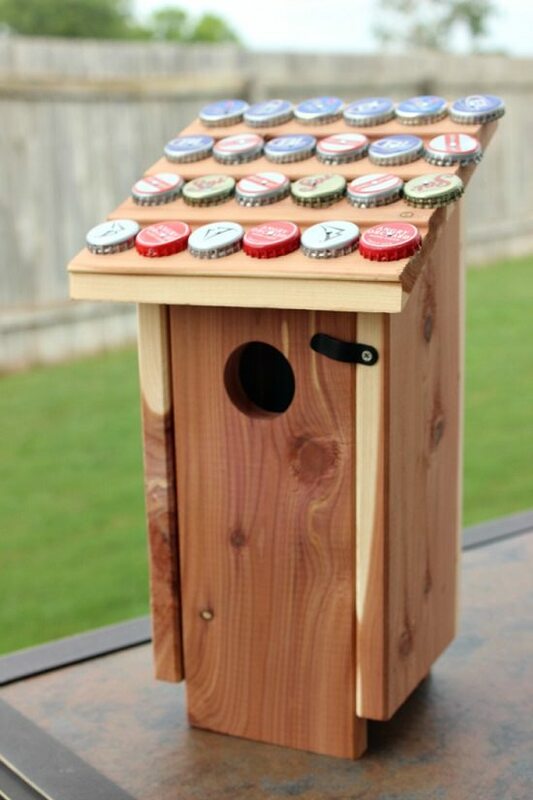 This one-of-a-kind birdhouse is perfect as a handmade gift. Tutorial for this cool birdhouse is at Kids Stuff World. 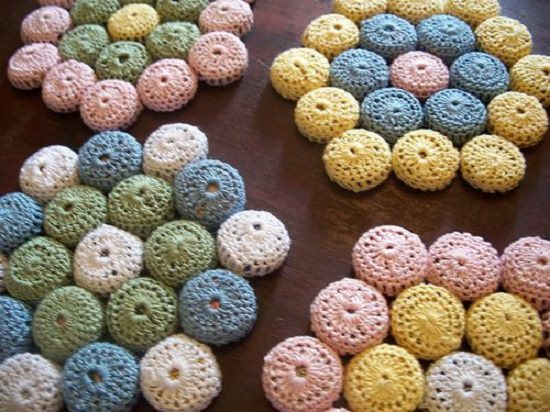 Have fun combining your favorite colors to make these easy crochet pads for your mugs and hot pans. See the DIY here! 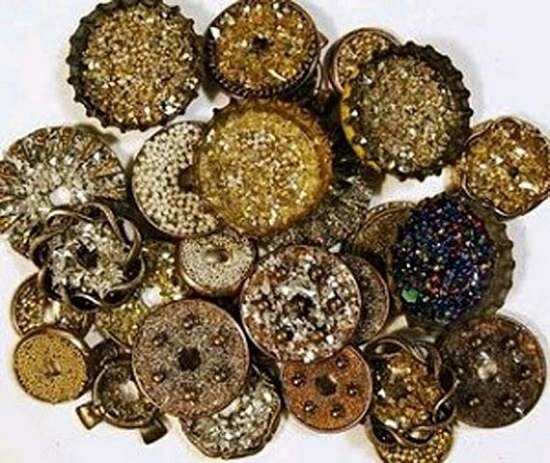 Brighten up a dull coffee table with a bowl containing these glittery bottle caps. Get the instructions here. 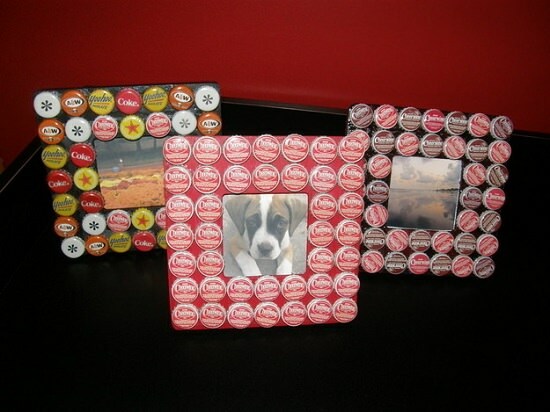 Bottle caps are the newest substitute to Perler beads for uniquely decorating your DIY photo frames. Learn more at Craftycrafts. 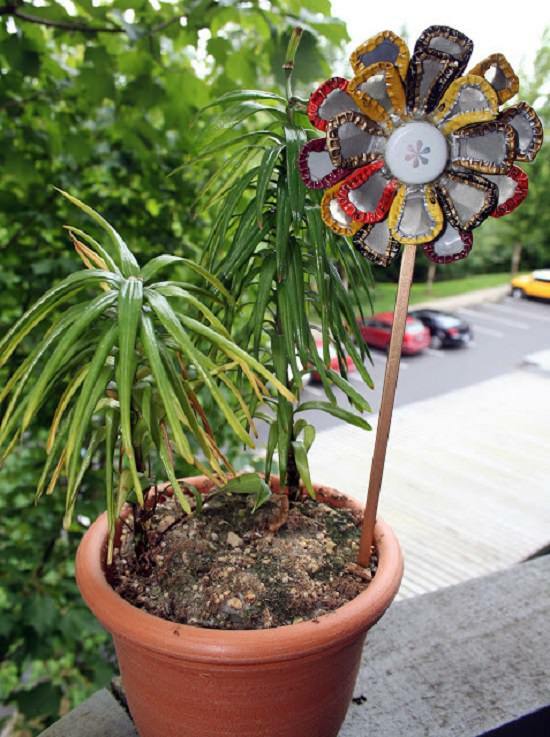 For a fun focal piece that stands out, consider making a bunch of these the next time you get bored. Get the details here. 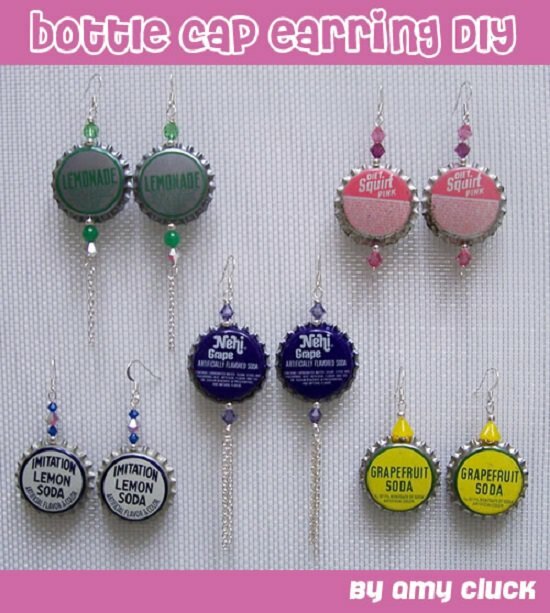 Clunky and chic bottle cap earrings are just what you need to jazz up a boring outfit. All the steps are here! 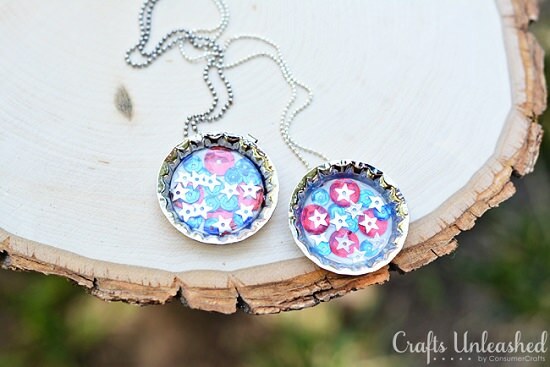 Making these beautiful upcycled magnets can be a fun activity to plan with your kids. Know more about this project. 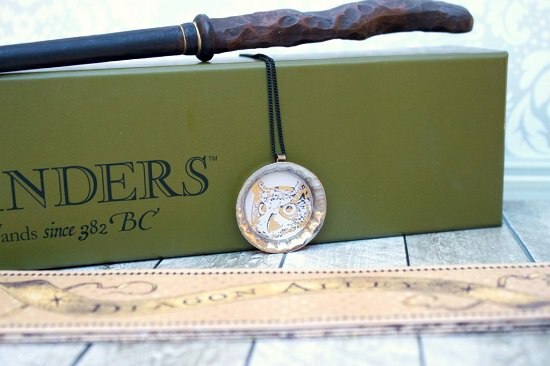 Harry Potter-themed pendants are the next best thing to a letter from Hogwarts! We found it here. 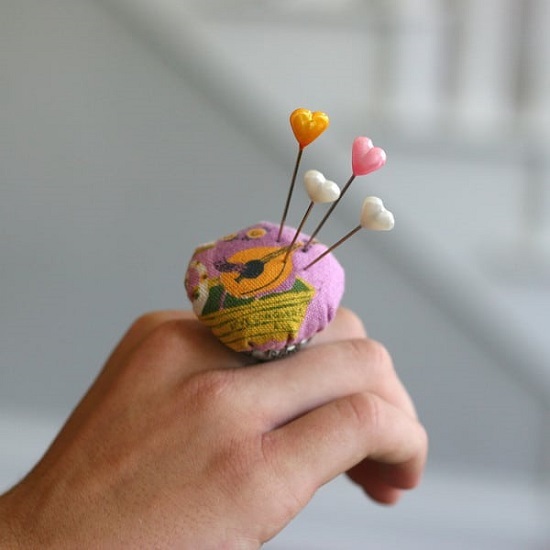 This simple style hack shows you how to get a larger-than-life look out of plain rings. Try to make it by following the steps on Pretty Prudent. These are perfect handmade gifts for the man who likes to drink beer or love fishing or both! Here is how to make it. 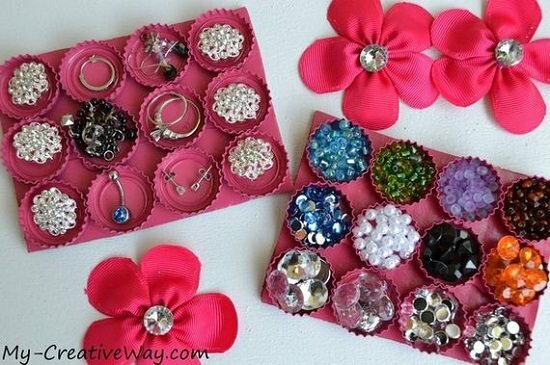 These pretty Bottle cap organizer keeps your favorite craft supplies in place and handy whenever you need them.